Professor Merva received a B.S. in geography and economics from California State University, Long Beach in 1982. She went on to complete a Master of Arts in economics at Rutgers University, where she subsequently obtained a Ph.D. in economics in 1989. While studying at Rutgers she was invited in 1985 to teach economics for a year in the graduate Program at Jilin University in the People’s Republic of China. After receiving her doctorate she took a position at the University of Utah, where she taught economics in both the undergraduate and graduate program. At the University of Utah she received the prestigious Superior Teaching Award from the College of Social and Behavioral Science. She also participated in the development of a televised economics course that was broadcast in the state of Utah for nearly a decade. Her research area is in applied economics where she has published a number of influential articles. In 1993, Professor Merva relocated with her family to Rome, Italy where she is currently Professor of Economics at John Cabot University teaching in the areas of finance, economics, and statistics. Professor Merva has nearly a decade of experience in institutional assessment of educational programs both with U.S. accrediting agencies and the quality assurance agency for the U.K. She has been a consultant for the Italian expert group as part of the Assessment in Higher Education Learning Outcomes (AHELO) feasibility study for the OECD. In 2006, Professor Merva earned the right to hold the Chartered Financial Analyst (CFA®) designation. 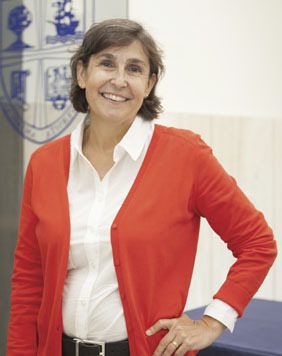 In 2008 Professor Merva was appointed Dean of Academics at John Cabot University and in 2010 she was promoted to Vice President and Dean of Academics.